Granted, that's not really a fly-fishing accessory, but a wonderful addition. The solar charger in saltwater-resistant lamination has proven to be very useful on my journey in Kamchatka to keep the batteries of my camera alive. In combination with the Powerbank, a mobile additional battery for USB devices, notebooks and any device with 12-24 V charging voltage and the high capacity of 18,000 mAh (67Wh), you are even more flexible. 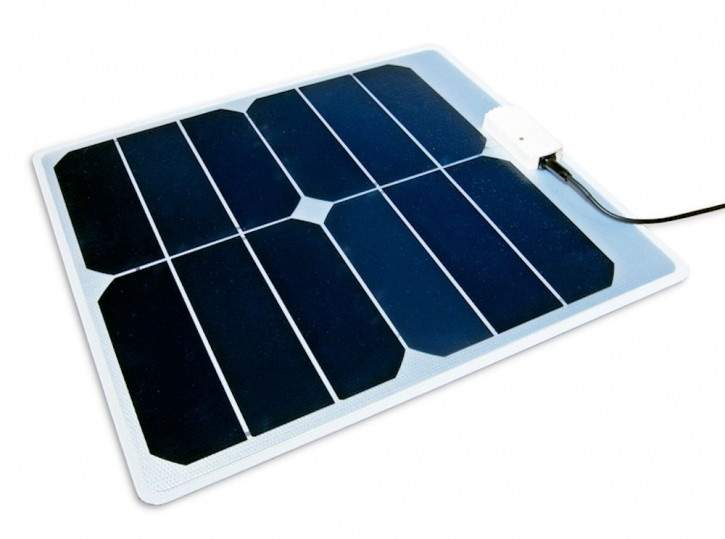 The solar module contains solar cells with 22 - 24 % efficiency. These cells made of monocrystalline silicon are world leaders in terms of efficiency and are produced in a much more complex process than standard solar cells with typically 15 - 19 % efficiency. They have a good low-light performance, and no loss of efficiencies, even after 20 years of sunlight.